Kaija is a lead chocolate maker at the Valencia Factory in San Francisco. 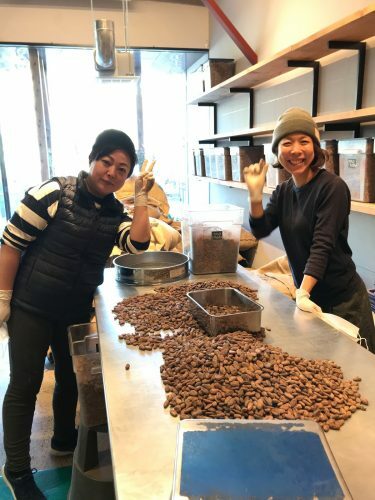 In February 2018 she lived in Tokyo for a month as part of the DCJ (Dandelion Chocolate Japan) and DCA (Dandelion Chocolate America) employee exchange program. She loves making chocolate, exploring new places, and, of course, eating good food. Why does Dandelion have an employee exchange program? Todd, one of our founders, used to do a lot of exchanges when he was growing up (Mexico, Russia) and he learned so much from those experiences. He wants to offer cross-team learning as well as exposure to different culinary palates and team processes. 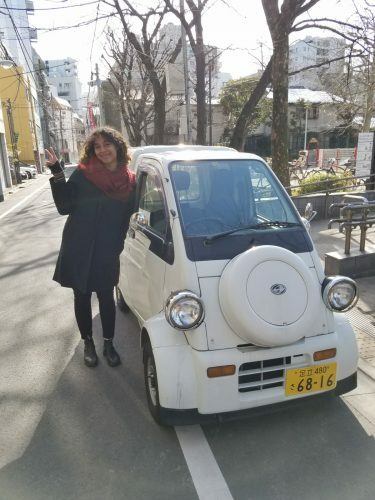 What were your first impressions of life in Japan? I was amazed at how clean and quiet the trains and subway stations were! Traveling around was a treat. What was hard about your life there? This is Kaija being much taller than the Dandelion Japan delivery van. The height difference was my biggest challenge. I’m 5’11, and I felt like a giant by Japanese standards. At work we had to make a few modifications so I could work comfortably. Communication and transportation were surprisingly easy. People were super nice and helpful and the transportation system was easy to navigate. How was your job in Japan similar to the work you do as a chocolate maker on Valencia Street? It was still making chocolate the Dandelion way. It was the same process, values, and team spirit. Everyone puts 110% into their work and everyone loves what they do. How was the work different? DCJ works with smaller quantities of cocoa beans at a time than DCA. There is also a different flavor preference for how the chocolate should taste. 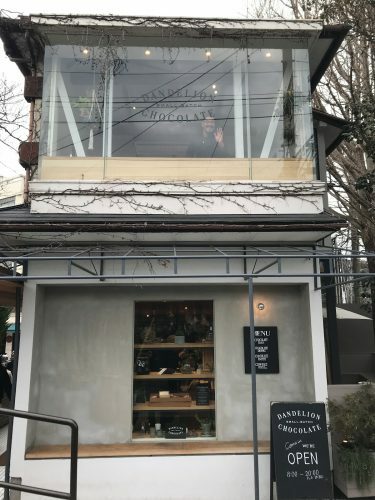 In the Dandelion Chocolate Japan bars, they like the chocolate to have more sour and fermented notes. We also tend to have different reference points for flavor. For example, when we taste espresso, they often taste tea. Work life. Kaija makes chocolate with her co-workers in Japan. What were some highlights of the trip? Getting to work with the DCJ chocolate makers was such a treat as well as getting to meet other makers at the Craft Chocolate Market, an event hosted by Dandelion that gathers craft chocolate makers from all over the world. 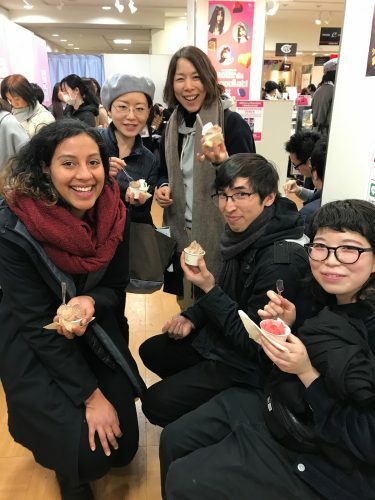 We also traveled to Kamakura, Ise, Osaka, and Kyoto and tasted samples from a variety of Japanese confectionaries, bean-to-bar makers, and bakeries. I also saw my first real, growing cacao tree at the Kyoto Botanical Gardens! Was there a lowlight of the trip? A few coworkers and I had horse sashimi at an izakaya in Tokyo. Everyone else loved it but it was probably the only thing that I ate in Japan that I didn’t enjoy. Absolutely! It was super inspiring to work with chocolate makers all the way on the other side of the globe. I can’t wait for my next chocolate adventure! Arigatogozaimashta, Kaija! The Dandelion Kamakura cafe will see you again soon.